Array Creative announced today that they have rolled out a small business incubator program, aimed at assisting and growing small businesses with targeted marketing, advertising and design services. 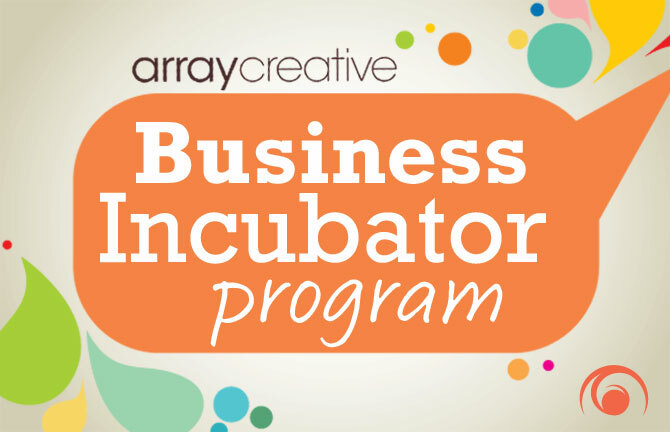 The Array Business Incubator program will focus on developing specific marketing strategies and tactically executing programs for a select few businesses annually. The Array team selected three businesses for this year, two businesses located in their hometown of Akron, Ohio and a third located in Houston, Texas. Startups and small business alike need qualified marketing services that focus on planning, promotion and sales. Depending on business scope of marketing requirements, Array provides both gratis and joint investment programs, both designed to limit early marketing investment and to turbo charge revenue and to GENERATE SUCCESS! “We have always provided gratis and investment based services for small businesses and start-ups, we just simply formalized the process and gave it a name. Giving back to both small businesses and non-profit organizations is in our DNA,” said Eric Rich, Founder and Principal. The program is expected to add a number of additional businesses to the Array client docket this calendar year. Array accepts applications online and via email.